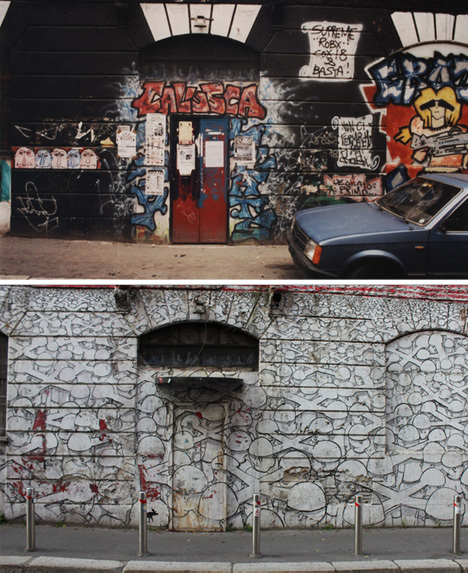 We tend to notice as buildings come and go, skylines change and grow with planning and oversight, but what about the spray-painted wall art the adorns the sides of these structures, sometimes persistent but often fragile and ephemeral? 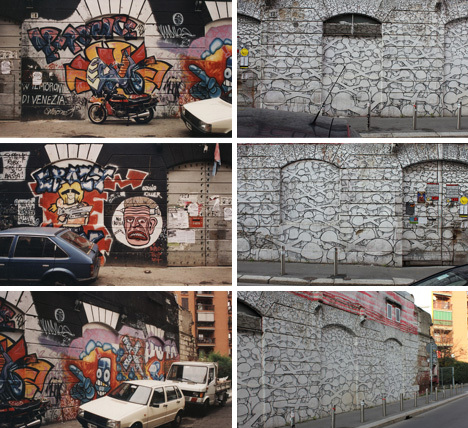 OldWalls, a project by Alberto Boido, documents past and present layers of street graffiti, meticulously tracking the artists responsible for the works as well, whenever possible. 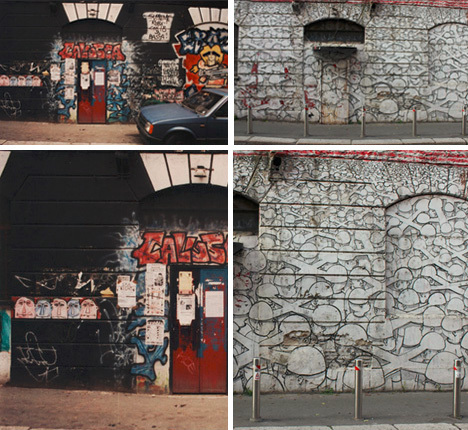 Most of the pairs are taken from the same vantage point, first in the 1990s, then again in the 2010s. Sometimes, the creators in question are famous (or infamous) local creators either adding their mark or being painted over. 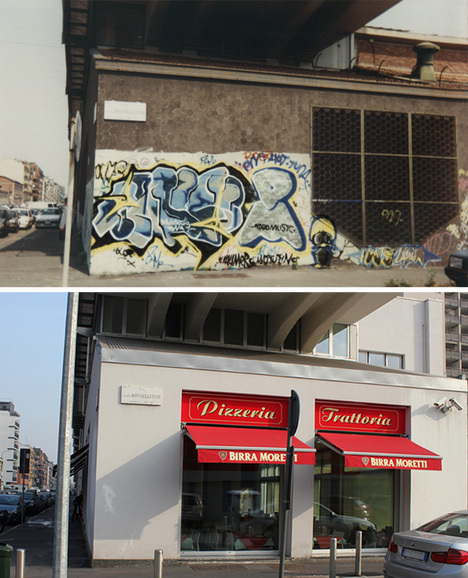 The above murals in Milan were made more recently by the well-known Italian artist Blu, but the walls, as you can see, were originally covered in the 1990s. 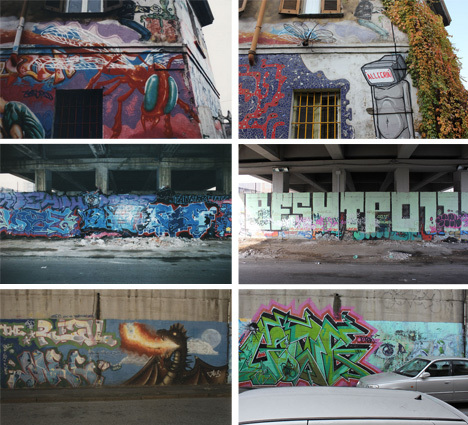 Other artists featured here include Robx, Prof Bad Trip, Maox, Inox, Kino, Bach, Zoc, Kalimero, Kayone, Yazo, Loze, Kid, Zen, Airone, Krema, Steezo, Teatro, Mec and Oze.